Gary Clarke moves on to other endeavors! Gary Clarke was Rockulus Maximus! He not only brought this show to life but maintained it as it grew. Little did he know that his local radio station would be the pinnacle of a significant shift in his career. My old man would travel far and wide for these rockulus shows. After Gary left he went off to help start his own company click here. As Gary stated, “The word “transitional” seems highly appropriate, and in many ways, I have unintentionally opened Pandora’s box.” His departing comment hauntingly echoed as his career move took him elsewhere leaving Rockulus Maximus a thing of the past. Gary left footprints of Rockulus Maximus in many places that we can often refer to. One, in particular, is the articles that are archived with MetalTalk as well as Screamer Magazine. 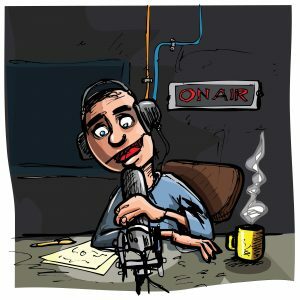 For those of you wondering where Gary is now, he is now freelancing as a Journalist, Radio Presenter, and Voice-Over Artist. Who would you say has been the biggest inspiration to you? (Gary) Oh gosh. There isn’t one sole person that has been an inspiration. Ginger from the rock band “The Wildhearts” has been for various reasons and so have Blackie Lawless from “WASP” for various reasons. If you were a superhero, what power would you like to have? (Gary) To read people’s minds. That would be most interesting. (Gary) Probably the fact that I might make someone smile, or share some new music with the listener. In fact, it’s been great to meet new people and to make new acquaintances. If you could define music, how would you? And what is music to you? (Gary) Oh…music is so important to me. It is the air that I breathe and the fuel in my car! If you knew you were going to be stranded on a deserted island and was given the choice of only one music group to listen to for the rest of your life, what group would it be? (Gary) Ugh! This is not a question. This is torture! One of the best things about the concept of music is that it’s diverse and can fit any mood, so one band or artist just wouldn’t cut the mustard. I guess I would learn to adore the songs the birds would sing if indeed there were birds on that island! If you could trade places with any other person for a week, famous or not, living or dead, real or fictional, who would it be? What is the last book you read? And did you like the ending? (Gary) I have an ever-increasing pile of books to read, but thus far I have not finished any of them. The one that I did finish was “I Am Ozzy,” the autobiography of Ozzy Ozbourne. (Gary) Ha ha…you are really nosey aren’t you? You would discover some cartons of skimmed milk, fruity yogurts, an odd jar of jam or marmalade and bottled water. Conservative society holds right to their opinion that hard rock is not only inappropriate but contributes to a negative correlation to the behavior of the listeners. Down through the ages, music has moved in waves of change adapting to the highs and lows of our culture. Music bends our creative mindfulness and has even been the “muse of noise” that helps one to attain a higher ground of consciousness. As noted in the above statements from Dr. Reddell, it seems evident that hard rock has adverse effects on our hearing. Understandably so with the loud vocals, drums, and guitar. That is pretty much a given. However, research done at the National Institute of Health discovered that hard rock contained some lyrics that are aggressive as they are screamed at the crowd. 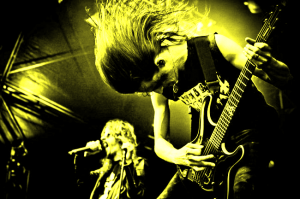 Heavy metal listeners were found to present with agitation and aggression. Socially, listeners of hard rock have been documented with depression, drug use, anger, and suicide. Research from Australia’s University of Queensland consequently found that hard rock induced positive effects such as calmness, giddiness, and inspiration. Additionally, music brings about a sense of relativity for those who have an interest in a particular music genre and brings about a sense of community. There will always be those “for,” and those “against” concerning the choices society makes. Perhaps it is wise to withhold judgment of others for we all have diverse choices of music. That is what makes this world a colorful place! Rockulus Maximus lacked no limits to which the show would exploit the pandemonium of music. Different variations of turbulent ear-piercing songs would penetrate the minds of the listeners. Gary Clarke was the disc jockey behind Rockulus Maximus. He delivered the powerhouse of music to his listening audience with such frenzy that the whole process resembled the feeding of piranhas. 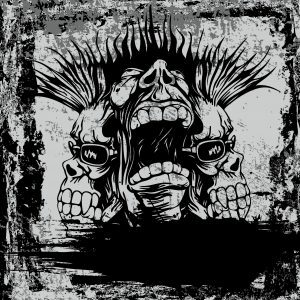 To have an understanding and appreciation for what Rockulus Maximus produced as content on the show, we shall dive into the “underbelly” of what hard rock is all about. Being a subgenre of rock music, hard rock has a distinguishing emphasis placed on guitar riffs, and vocals that are forceful. The profound drums completed the sound. Where did Hard Rock come from? The explosion of rock music in the 60’s produced many subgenres of rock. The turmoil within our society was reflected in the music. Deeply rooted in R&B, hard rock assimilated the influences of pop music. Hard rock is not for the faint of heart. What are a few of Hard Rock’s Subgenres? Hard Rock and rock, in general, are evolving as another subgenre has surfaced and is known as “Hybrid Rock.” The addition of jazz, punk, and ska is blended with hard rock giving a melodic, upbeat tone which dances around the mind of the listener. This style of music is tough to explain; however, it is vibrant and fueled with energy. As with any genre of music, hard rock will continue to sub-divide into even deeper subgenres with the creation of new sounds and styles. It is mind-blowing to contemplate what the future holds for not only what we listen to, but the how the delivery will change and how the mind will process the content. Did you Know?? A Fun Fact About Hard Rock! In 1972, three bands joined together for a concert at London’s Rainbow Theatre. This unification was famously referred to as “The Unholy Trinity of British Hard Rock and Heavy Metal.” The group was deemed as the “The World’s Loudest Band” by the 1975 Guinness Book of World Records. What three bands was it? It all began back in the 80’s when Gary Clarke found himself under the charm of hard rock and reveled in the music collection his father owned. In this collection was artists such as AC/DC, Queen, Wasp, Whitesnake and The Scorpions. He leaned on music as comfort during a time when people in his life forsook him. Gary never contemplated entering the music industry until he noticed an advertisement asking for volunteers to present a show on the local hospital radio forum. “Radio Remedy” was the in-house hospital radio. It provided a platform for budding beginners to try their hand at radio as well as perfect their craft. Colin Grant, a radio enthusiast with “Radio Remedy,” encouraged Gary to pursue radio. With time, Gary developed his style on the air, and with that, his career took off! To further advance his skill in the radio industry, he attended several years of formal college training in Radio and Media. One of his proudest achievements during his educational studies was assembling and developing a talked-based radio presentation based on Depression. Returning to his humble beginnings in Caithness U.K., he honed his skills in on a local community radio station. During his tenure at this station, he had the privilege of seeing the station become licensed allowing it to broadcast seven nights a week. He considered this experience as one of the most insightful and rewarding times of his radio career. His interests began to take him in a different direction taking him away from the radio industry. However, several years later, the “prodigal son” of the local community radio returned where he was given carte-blanche on taking the radio show to an all new level. In the remote Northern region of the U.K., sat this unpretentious radio station that was in dire need of revival. Gary took the Friday night slot and began to develop a very simple marketing campaign that included competitions, interviews with various guests and cornering exclusive spots with music artists. The fan-base grew exponentially as Gary fed the listeners the music they craved. In the midst of juggling online content, he became a contributing writer for several publications. Exclusive interviews with famous artists were conducted as Rockulus Maximus soared. Gary’s journalistic talent brought the world of rock into the small radio station and into the homes of many. 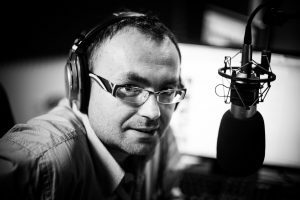 He was a gem in the “most Northern part of the U.K.” Although he is no longer in the radio industry, his presence will live on with those who were dedicated listeners to his show. Hosted by Raven Street Studios in the U.K., Rockulus Maximus was brought to life by a DJ who not only had drive and passion for rock music but had a vision for this show. Rockulus Maximus covered a broad spectrum of rock music ranging from softer rock to the hair-raising Metallica. The show was approximately two hours in length and began by playing host to the more commercial elements and softer areas of the rock music Universe. From this starting point, the show gradually gets heavier until, by the time you’ve reached the grand finale, you were hammered by the heaviest and darkest, more aggressive beasts of the world of rock music! There were features that were scattered throughout this audio extravaganza. Oddly, the featured phases consisted of highlighting artists and songs transitioning into a music frenzy ending in the darker side of music. Just a few groups that were featured were Deep Purple, Queen, Jethro Tull, Status Quo, Scorpions and more. Rockulus Maximus aired on Friday nights, 10:00 pm-Midnight. The diversity of material was presented in such a way that not only made the show entertaining but was an anticipated event to listen to on a weekly basis. The lineup of music was done in such a way that kept the listening audience engaged yearning for more. Interviews were conducted on-air with famous music artists such as Ozzy, Thin Lizzy, Imperia, Nazareth, and Wolfsbane just to name a few. This lent a more personal connection to the show and allowed the listeners a glimpse into the lives of their favorite artist. As a result of popularity and expansion, Rockulus Maximus moved further into the journalistic approach to rock music with publications in Screamer Magazine. Eventually, the show became famous as the “webzine” of rock music.